Spotlight Fitness at your fingertips! FITNESS AT YOUR FINGERTIPS! A LOOK AT ALL OF OUR LOCAL CHAMBER MEMBER GYMS! 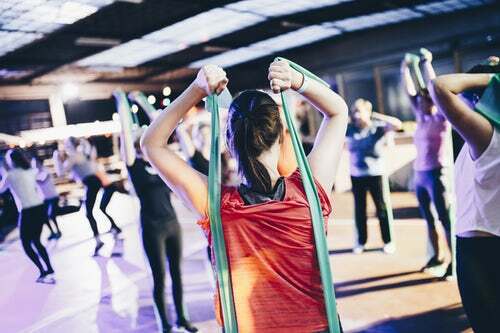 Fitness at your fingertips is all about our local fitness gyms and what they offer! They have supplied information to help you choose which gym is best for your needs! Here’s a list of Carterville Chamber member gyms in our immediate area, ready and available to help you begin your journey to fitness. Whether you need toning, strengthening, cardio, or just overall good body maintenance,our area gyms have what you need! Here's some information each fitness center has supplied, so you can make an informed choice about which gym is best for your particular needs. Foundry Athletics is a veteran-owned, family business that is known as a functional fitness, open gym atmosphere with completely brand new equipment, free weights and cardio machines. We are not a fitnes center, we are a gym that has many opportunities to become physically fit and active. The reason we are not 24/7 is because we want to always be involved with our gym and members, whereas we take pride in being readily available for our members for any questions or difficulties that might arise during the day. We specialize in training high school athletes with our athletic development program. Our standard membership rate is $35 a month with a discount of $25 for active duty military/veterans, First Responders, Aisin employees and Teachers. LOGAN FITNESS, which is located off Rt. 13 on the John A. Logan College campus, is a fitness facility which includes both a fitness center, aquatic center, massage clinic, and walk-in health clinic. Logan Fitness is available to students and the community. Patrons wishing to use the facility may enroll in an annual, semester-long, or monthly membership. Dozens of instructor-led classes are also offered. Logan Fitness is provided to promote health and wellness to the community. Affordable Membership at only $25 per month! No Long Term Contracts! Call Today - for more information - 618-319-0362!! "The SWEAT SHOP FITNESS CENTER is located in downtown Carterville and is owned by Paul and Kristen Gentry. Our facility provides a large variety of cardio and workout equipment, group fitness classes, personal training, tanning, and Spinning classes. Members have 24/7 access to the gym. We also provide great customer care and great rates. Every thing you need to accomplish your goals is here whenever you need it. All that is missing is you. Come on in and we'll show you around and give you all the information you need to get started on your fitness journey."